The Brandeis Institutional Repository (BIR) is a resource for the Brandeis community to showcase, organize, and preserve research and scholarship in an Open Access repository. The BIR is a historical record of the research done by our faculty, students and staff and contributes to the scholarly communication landscape by providing access to scholarly material that is open and free to all. ORCID (Open Researcher & Contributor ID) links your research outputs/activities to one another. Increasingly, funders, publishers, and other research services require it during submission. With an ORCID ID, each researcher gains a personal, unique identifier and gains control over their scholarly identity. Signing up is free and takes less than minute. Simply provide your name, email address and create a password. Use your Brandeis email address when registering. Scopus, the largest abstract and indexing database of peer-reviewed literature, facilitates the search and evaluation of research, enables monitoring of a research topic or trend, identifies the top researchers in a particular field, and enables tracking of the success of your own research. Use Scopus to find and evaluate research, no matter what your area of interest. 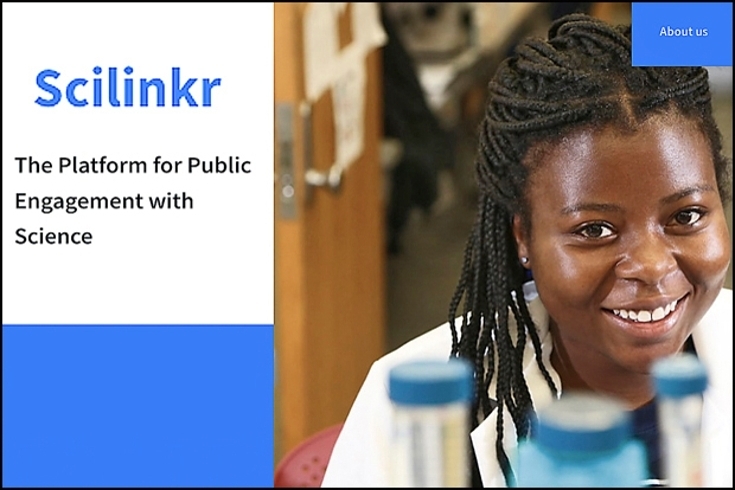 SciLinkR aims to be a meeting place for professionals interested in promoting and publicizing science. Raise awareness of publicly supported STEM research and broaden the participation of underrepresented groups by connecting, engaging, and documenting public engagement with science.